2016 conference for the Salvation Army brought leaders in from all over the world. 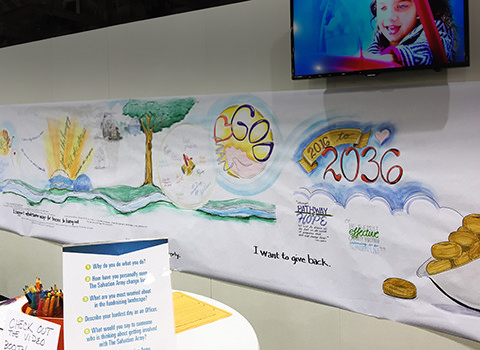 I designed the engagement, and facilitated the capture of dozens of conversations on a 20-foot-long paper. After four days, 6 themes arose to the surface, and the Salvation Army was delighted by the result.